As part of our home school classes this year, we have read many previous works by the best-selling author, Jane Yolen. In fact, my six year son has declared her to be “the best writer in the whole world”. We are delighted to share with you several new release book titles available by Jane Yolen including Bug Off! Creepy, Crawly Poems, How Do Dinosaurs Eat Cookies? and Take Two: A Celebration of Twins. 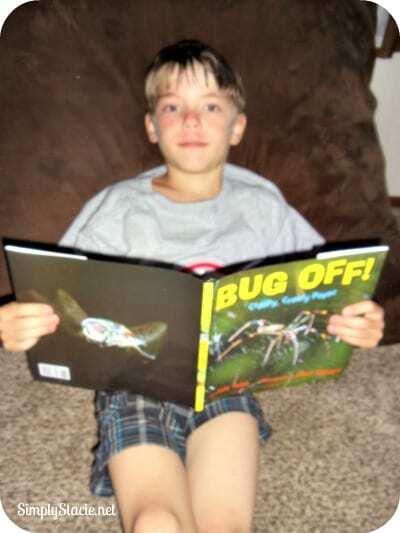 All three of my insect-loving children were excited to read Bug Off! Creepy, Crawly Poems(SRP $16.95). This book is a wonderful way to introduce children to poetry in a fun, creative way that is sure to be appealing to a diverse age group and particularly young boys who may shy away from poetry. In addition to a wonderful selection of poetry featuring creatures from the insect kingdom, there are interesting facts about flies, praying mantis, butterflies, ants, honey bees and more. The photographs by Jason Stemple are beautiful and elevate the text perfectly. My children even took this book with them while searching for insects in our back field and were thrilled when they found a group of hundreds of newly hatched grasshoppers. My four year old son is a huge fan of the “How Do Dinosaurs” book series so he was thrilled for me to read How Do Dinosaurs Eat Cookies? (SRP $7.99) The classic rhyming text always engages my young children and they love to try to guess the word that comes next. This book is so creative in that it even has “Scratch-and-Sniff” pages for the delicious “cookie” illustrations (the lemon cookie is amazing). The illustrations by Mark Teague are fabulous and it never fails to get lots of giggles from my kids. We really love this board book by Jane Yolen and Mark Teague and my son asks me to read it every night at bedtime for the past two weeks. Have twins or no someone who is having twins? If so, you are not going to want to miss the fun book that features adorable twins. Take Two: A Celebration of Twins(SRP $17.99) by J. Patrick Lewis and Jane Yolen is a wonderful collection of poems about what else….twins. It even has fun facts about twins to give it an educational twist too. The illustrations by Sophie Blackall are whimsical and fun and brought a smile to all of our faces as I read this book aloud to my children. In fact, I will bet that the grown-ups will enjoy reading this book to their children as much as the children will enjoy listening to it. All of these titles by Jane Yolen are available for purchase online and at book retailers. I don’t think I’ve read any of her books, but “How do dinosaurs count to ten?” would be a great one for my daughter to help her learn to count. I haven’t read any of hers either.. I don’t recognize any of the titles but then again I don’t recall much from my childhood. We have never read her books before. I don’t think I have ever read any of her books before, but they look like ones I would love to share with my daughter. I don’t know her books but Creepy Monsters, Sleepy Monsters looks great. I’m not familiar with her books, but I would like to read The Salem Witch Trials that she wrote with her daughter. I haven’t read any of her books before but Mama’s Kiss looks cute! I have never read any of her’s, but I think my son would like them. My son would like How Do Dinosaurs Say i Love You?!!!! We’ve read “How do Dinosaurs say goodnight?” so much that our copy is falling apart….and we’ve certainly enjoyed the other How do Dinosaurs series! I have not read any of her books, but would love to read the book How Do Dinosaurs Laugh Out Loud? I have not read her books before but the cookbook fairy tale lunches looks good. Owl Moon has always been a favorite. Ive never read any of her books, I’d love to though! The Mother Goose Song Book! I have never read any of her books but they sound great. i would also like to read: Good Night, Little Bunny: A Touch-and-Feel Bedtime Story. I would love to read Baby Bear’s Big Dreams! History Mystery: The Salem Witch Trials. I have not yet read this author. 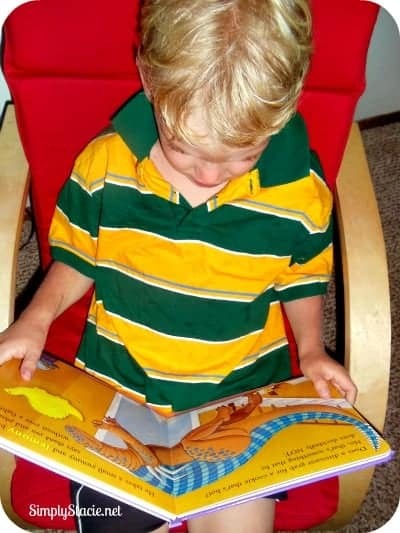 Oh my gosh we love the “how do dinosaurs” books! I’ve never read any of them. I haven’t read any books by Jane Yolen yet but would like to do so.